The heated and purified air is fed by the draught fan and passes through the screen plate of hopper. In the working chamber, the air forms the fluidization state through stirring and negative effect. The moisture is evaporated and removed rapidly and the raw material is quickly dried. 1. 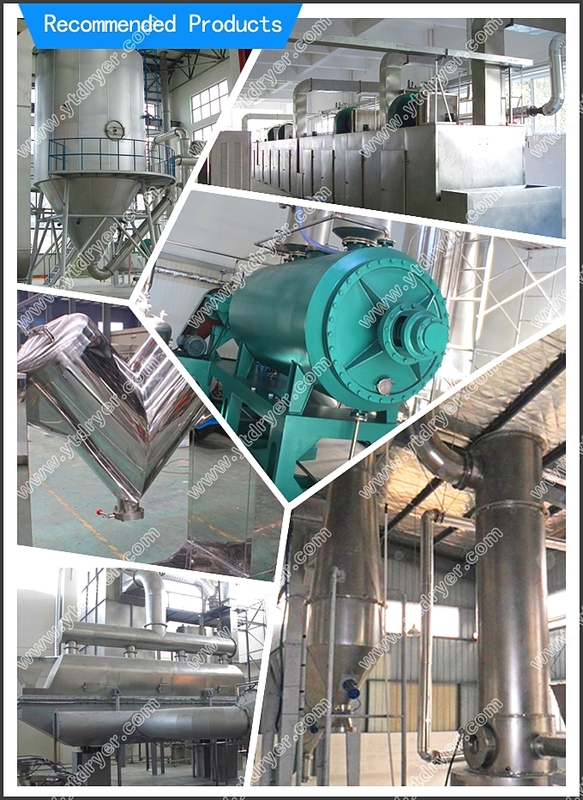 Our high efficient Boiling Dryer is suitable for screw extruder produced granules. 2. It can be used for drying of wet granular and powdery materials in the medicine, food, feed, chemical and other fields. 3. The drying machine is ideal for drying large particles, and viscous granular materials. 4. It can also be used for materials whose volumes may be changed during drying, such as konjac and polyacrylamide. 1. The hopper with mixing function can effectively avoid agglomeration of raw material. 2. Overturning discharge method makes it easier and more convenient to discharge material. 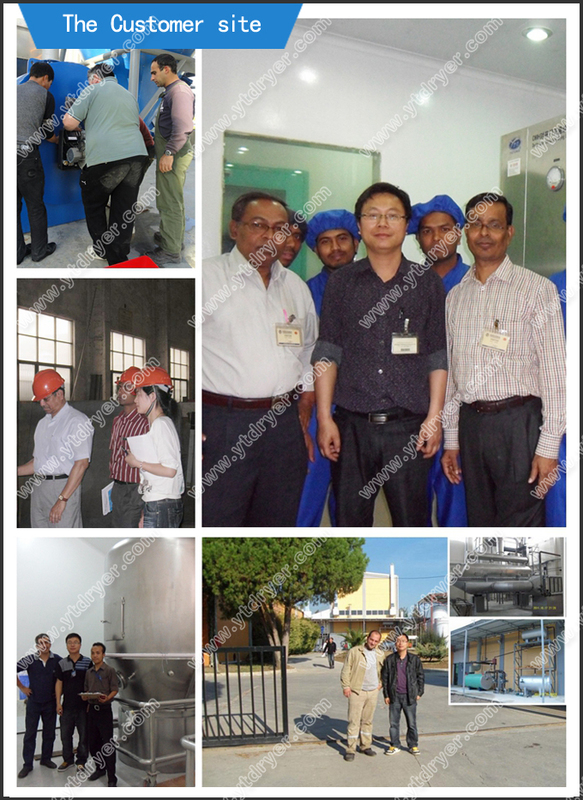 Automatic material feed/discharge system can be designed according to your requirements. 3. The closed-structure boiling dryer operates under negative pressure, and the air flow must be filtered, resulting in the machine easy to operate and convenient to clean. 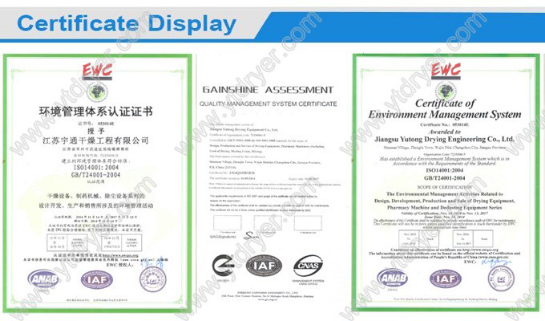 Hence, it is GMP certified. 4. High drying rate (20-60 mins/batch), good temperature uniformity. Looking for ideal Boiling Drier Equipment Manufacturer & supplier ? We have a wide selection at great prices to help you get creative. 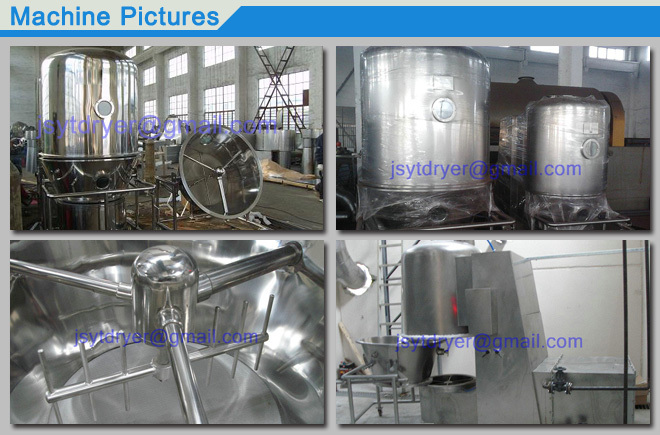 All the High Efficient Boiling Dryer are quality guaranteed. 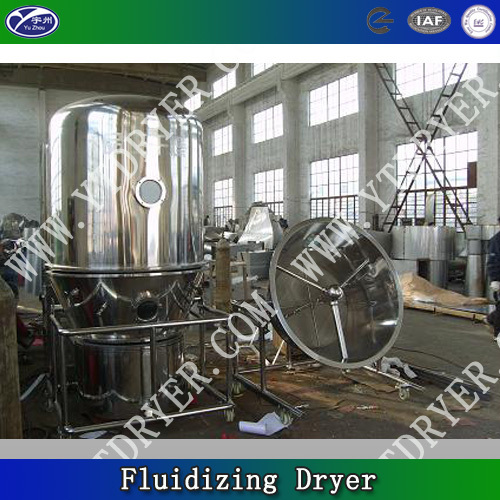 We are China Origin Factory of High Efficient Fluid Dryer. If you have any question, please feel free to contact us.